Tiny North Carolina School of the Arts in Winston-Salem is a specialized institution offering a host of fine arts programs, from dance to music to theatre, as well as programs in design and visual arts. School trips range from day visits to the North Carolina Zoo to weekend outings to Myrtle Beach. What are the top 3 reasons someone should attend University of North Carolina School of the Arts? What is a typical University of North Carolina School of the Arts student like? Describe the type of person that should attend University of North Carolina School of the Arts. Alumni are the best example of the success of the School of the Arts' training programs. UNCSA alumni have distinguished themselves in careers on Broadway, in regional theatres, opera companies, symphony orchestras, dance companies, film and television, as well as in many other remarkable professions after they've left the arts. What are the top 3 things that students do for fun at University of North Carolina School of the Arts? Campus housing is available for undergraduates. The average student pays $11,632 for tuition, fees, and other expenses, after grants and scholarships. Learn more about financial aid at http://www.uncsa.edu/financialaid/index.aspx. Estimate the net price for you at http://www.uncsa.edu/financialaid/netpricecalculator/npcalc.htm. 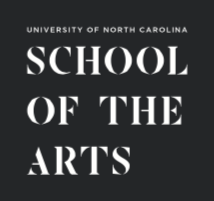 Want more info about University of North Carolina School of the Arts? Get free advice from education experts and Noodle community members. Yes. College freshmen are allowed to have cars on campus. Thank you for your question!